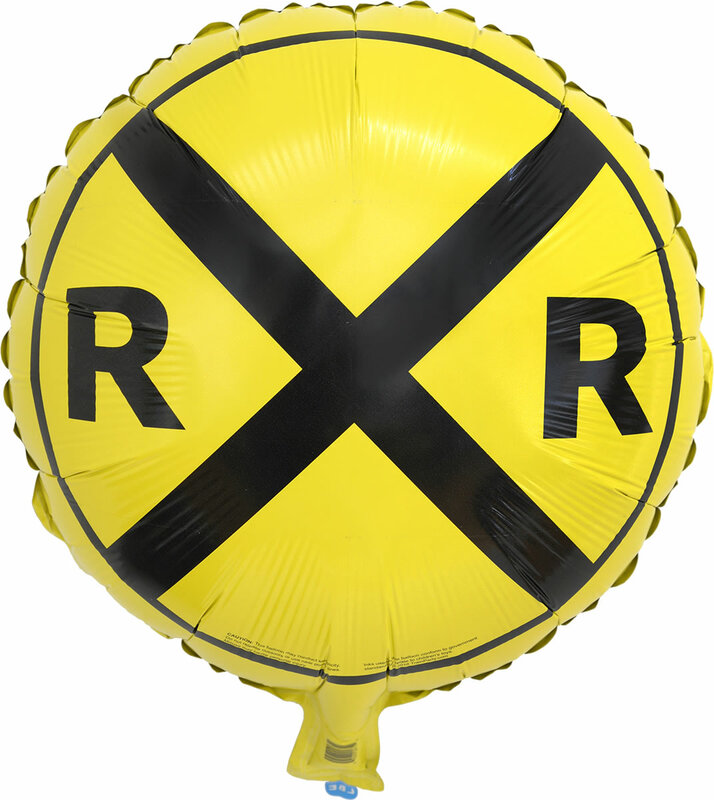 Look both ways when crossing the railroad tracks, especially when you see this balloon! Railroad Party Mylar Balloon featuring a vibrant yellow background with the railroad crossing sign. Railroad Party Mylar Balloon - 18 inch, Round. 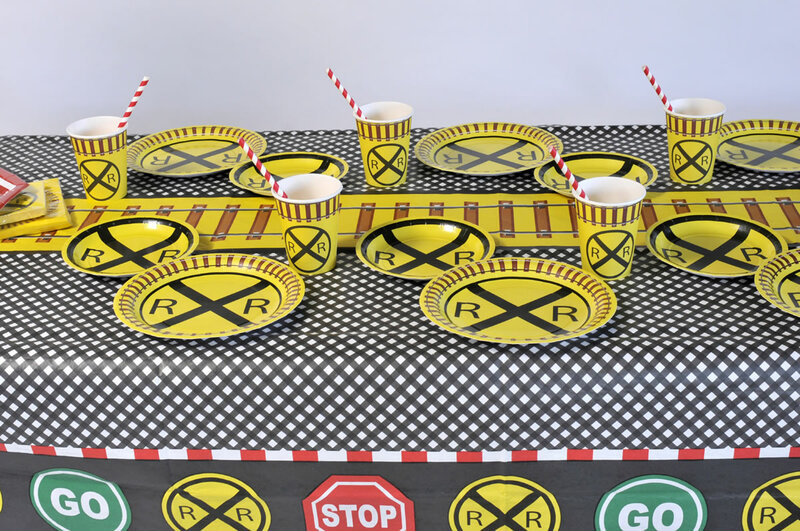 Great for celebrations for retired railroad employees, railroad enthusiasts, hobbyists and kids (big and little) who love anything railroad and any train party!